An experienced international player, Bhatti will become head coach of the state 16U side, effective immediately. Bhatti will step in as winter workouts continue, preparing the team for upcoming tournaments this spring and summer. Bhatti first came to national attention in 2009 when he led Montgomery College to the inaugural American College Cricket Championship. In the Washington Metropolitan Cricket League, he continued to work hard to improve his game, and was then selected for Team USA in the 2014 ICC World Cricket League Division 3 tournament, earning the 2014 New Inning Foundation Individual Performance of the Year for his accomplishments against Bermuda. 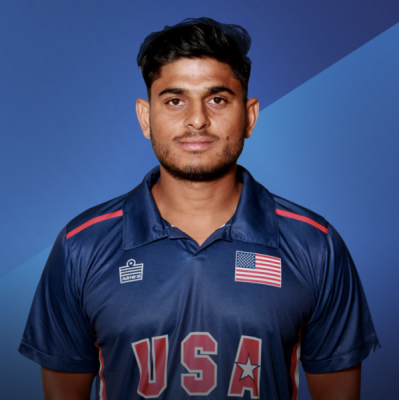 In bestowing the award, DreamCricket.com said, "On a tour where there wasn’t much to cheer about, Bhatti provided a silver lining for USA in a consolation match 10-wicket win over Bermuda. After bowling three overs during group play, Bhatti was offered the chance to take the new ball alongside Usman Shuja and responded with his best ever bowling performance in a USA uniform. Bhatti knocked over three of Bermuda’s first four batsman to finish with 3 for 29 as Bermuda were eventually bowled out for 113 in just 19.3 overs. Bhatti was then promoted to open the batting with Fahad Babar ahead of Steven Taylor and, like he had done in the first innings, responded with a career-best batting performance in a USA uniform. An unbeaten 52 off 43 balls, including five fours and three sixes, ensured that Kuala Lumpur’s Selangor Turf Club will always be a memorable place for Bhatti." In 2015, Bhatti represented the USA in the ICC World Twenty20 Qualifier at Dublin, and then toured with the Warne-Tendulkar All-Stars. In 2016, he played exhibition matches against a Caribbean Premier League XI and then against the legendary Marylebone Cricket Club, taking four wickets against the tourists. Bhatti toured the UAE and Oman with the USA for its 50-over matches against Kenya, Nepal and Oman in 2017. In January 2018, Bhatti was named in the United States squad for the Regional Super50 tournament in the West Indies.